A long-established local community organisation in North London. We enable the exchange and trading of products and services without money changing hands between our members. New members always welcome! We Are In North London! Where is North London LETS based? At our AGM on 15.03.2015, North London LETS decided with regret to give up our office in Waterlow Road. We all had a great time there over many years, however for cost reasons, we have unfortunately had to take the difficult decision to give up our old office at Waterlow Road. Photo: Our former office at Waterlow Road. When we’re in a stronger financial position to do so, we may well look to have an office base again. In the interim, we shall continue to operate online and meet in person in various north London locations. I’m a member. If there’s no office at the moment, what does this mean for me? Our Exchanging and Trading Continues! As before, you can continue trading either using our online trading system CES, or you can email the Management Committee to help you find a buddy to help you see and respond to other members’ offers and wants online. The Management Committe are available on email to answer any questions you may have. I’m interested and want to become a member! It’s easy! Click here to apply for membership of North London LETS online. (An online form will open in a separate tab). Why not click for some inspiration! Just so you know, this form is a completely free-of-charge and no-obligation pre-registration. It simply lets us know about your interest in membership of North London LETS. Once you’ve filled in some basic details, a member of our Introduction Team will contact you as soon as possible with details of the next Welcome Session. At Welcome Sessions, you’ll have the opportunity to meet current members locally in north London, learn about how things can work for you at the club, and ask any questions you may have. You’ll also have the opportunity to formally sign up as a new member upon payment of the annual membership fee. Your membership fee depends on your own level of income, and there are no other costs to you. Average to Good Income: £16 p.a. For more details about joining in, see here. Phone: N/a at the moment. Please use email instead. North London LETS Office Address: N/a at the moment. Opening hours: N/a at the moment. North London LETS Events Room Address: Rooms will be hired, as and when events are planned.Always remember to check details on the event notices of where to go! Offline Trading: Please contact the Management Committee for an update on the Membership Directory, or to get help from an online buddy. Introduction Team: Henu. Welcome Sessions are open to current, new and prospective members alike. We aim to hold these on the 1st Wednesday of every month from 6pm – 8pm. The date and venue will be by arrangement. Feel free to bring a friend! Welcome Sessions are made possible by members volunteering their time. As we don’t always have enough volunteers, to avoid disappointment, please email and leave your name and a contact number. Or contact the Management Committee here for more details. We’ll get back to you, to confirm someone is available when you are. How do I get to Archway? By public transport: Tube: Archway underground station (Northern Line). As you exit the station, turn left and walk up Highgate Hill. Turn into the 3rd road on the right – Waterlow Road. (300 metre walk). Bus: From Brent Cross Shopping Centre:Take the Route Bus 210 from Stop: D towards Finsbury Park Station. Get off at the Highgate Hill/Hornsey Lane Stop: HT on Highgate Hill. Then walk downhill, and turn into the first road on the left – Waterlow Road. (100 metre walk). From Camden Town:Take the Route Bus 134 from Stop: Y towards North Finchley. Get off at the Tollhouse Road Stop: G on Archway Road. Then walk uphill and turn into the second road on the left – Waterlow Road. (200 metre walk). Car: This is a residents’ parking road and area, however:Limited parking is available to non-residents on Waterlow Road itself after 7pm on weekdays, and all day on Saturdays and Sundays.There is also metered parking on a slip road, off the main A1 Archway Road, also called Archway Road. Parking is free here after 2pm. Click on Google Maps above to better locate it. This slip road is on the opposite side (east) of the A1 to Waterlow Road. Vehicular access to this slip road from the A1 is from the southbound A1 carriageway, or locally from Gladsmuir Rd. or Harburton Rd. Then walk under the under path (slope and steps) and come up on the other (west) side of the A1. Then walk uphill (40 metres) and turn into the next road on your left, Waterlow Road. NLLETS is the abbreviated name of North London LETS. North London LETS is an unincorporated members club. 1. April 2015: Bye bye Waterlow Road Office, bye bye! 3. Live Music Benefit on 6th Dec 2014 at Highgate Library Civic & Cultural Centre! 4. Next Welcome Session Dates. New members can join on these days! Trading and food to share socials are happening too! 5. Next Management Committee Meetings in 2014. All members welcome! A new office admin team is sought in return for pledges. 7. NLLETS Autumn 2013 Newsletter. 7. WBC Live Music Festival Dates in 2014 – Volunteers please respond to Alan by 8th March 2014! 8. Get Newsletters on Email? Say yes to a quick and easy way to keep up to date with our news. Welcome to your local North London LETS! In order to be able to keep membership fees low, we needed to reduce our operating costs further for our members. 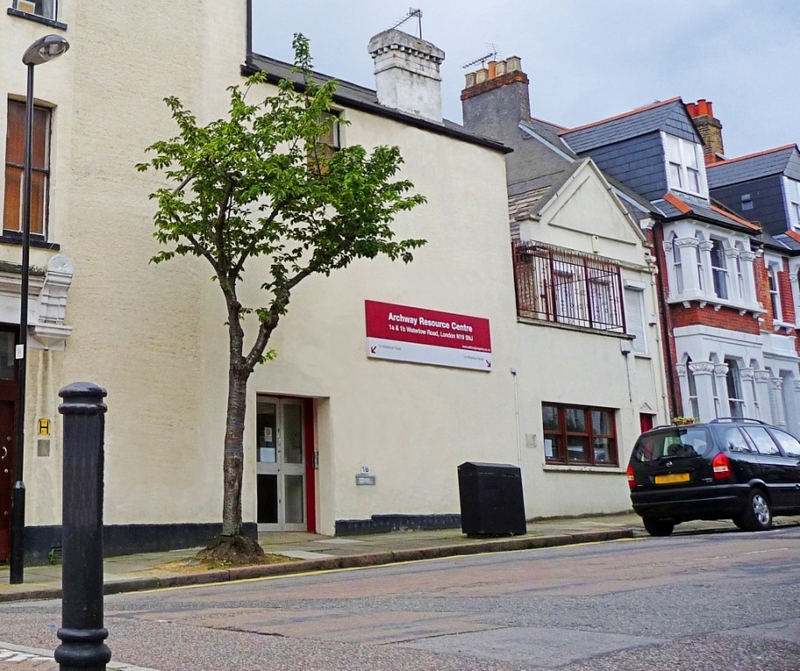 As a result, at the AGM on 15.03.2015, the Management Committee proposed, and the Membership decided, to no longer renew the rental contract for use of the Waterlow Road office and meeting rooms in Archway. North London LETS continues operating fully, just without the regular expense of office rent now. TELEPHONE: N/a at the moment. Please use email. We check regularly. A volunteer will get back to you as soon as possible.